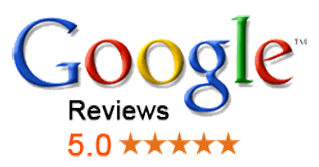 Philadelphia Law Firm - The Goodheart Firm - Mark B Goodheart Esq. Mark B. Goodheart, Principal of the Firm, is an experienced trial lawyer and counselor who brings a diverse legal, corporate and personal background to the practice of law. 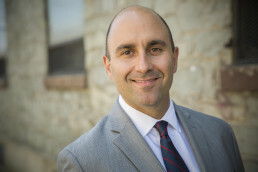 Throughout his career, Mr. Goodheart has represented individuals, families, children, companies and government entities seeking to recover for economic loss, physical pain and suffering, emotional damage or property damage sustained as a result of the professional liability, medical negligence, ordinary negligence and wrongful conduct of others. Mr. Goodheart’s clients have included victims of Motor Vehicle Collisions, Medical Malpractice, Workplace Accidents and Slip/Trip and Fall Injuries; people who have suffered Traumatic Brain Injuries; and Children Catastrophically injured at Birth. Mr. Goodheart has worked individually and as part of a team of lawyers to maximize the financial recoveries for his clients and has achieved significant results. The foundation for Mr. Goodheart’s practice and success is meticulous preparation, communication with and compassionate support of his clients and a commitment to each client’s cause and goals. Mr. Goodheart’s counsel for businesses follows a cross-section of the corporate sector, including those specializing in media/advertising, Real Estate Development, Internet marketing, Construction, Stock trading, and Individual Entrepreneurship. Mr. Goodheart’s counsel includes negotiations; contract drafting, review and enforcement; the initiation and prosecution of lawsuits to recover money for his clients; litigation administration and oversight; risk and liability management; and insurance coverage analysis and revision. Mr. Goodheart is admitted to practice in Pennsylvania, New Jersey and New York. He is also admitted to practice before the following Federal Courts: United States Court of Appeals, Third Circuit; United States District Court, Eastern District of Pennsylvania; and United States District Court, New Jersey. Mr. Goodheart is active in the legal and civic community. He has served as a Hearing Committee Member of the Disciplinary Board of the Supreme Court of Pennsylvania since 2012. He is certified and has served as an Arbitrator for the compulsory arbitration program of the Philadelphia Court of Common Pleas since 2008. Mr. Goodheart is a volunteer lawyer for the Philadelphia Democratic City Committee. He is also a dedicated coach of youth sports in the Taney Youth Baseball and Basketball Associations. Mr Goodheart is also a member of the Board of the Friends of Seger Park Playground. Mr. Goodheart is a member of the Board of Directors of the Samuel S. Fleisher Art Memorial in South Philadelphia. The mission of the Fleisher Art Memorial is to make art accessible to everyone, regardless of economic means, background, or artistic experience. 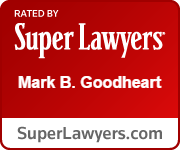 Mr. Goodheart’s work has resulted in his selection as a “Pennsylvania Rising Star” in 2010, 2013, 2015-2016 in Super Lawyers by Thomson Reuters, based upon peer review ratings. 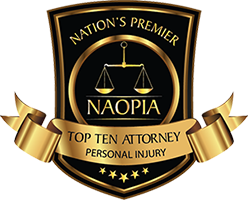 No more than 2.5 percent of the lawyers in the state are selected by the research team at Super Lawyers to receive this honor. Mr. Goodheart was born and raised in Philadelphia and resides in the city. He is a graduate of Binghamton University and received his law degree from The Beasley School of Law at Temple University. Prior to attending law school he worked for the Philadelphia Phillies, Comcast-Spectacor’s Philadelphia Charge and SportsCapsule, a successful Internet start-up company affiliated with ESPN. Before launching The Goodheart Firm, Mr. Goodheart was an attorney with two well-known law firms in Philadelphia – one specializing in personal injury and the other in commercial litigation. His late father, the Honorable Bernard J. Goodheart, served as a Judge for the Philadelphia Court of Common Pleas for thirty years.